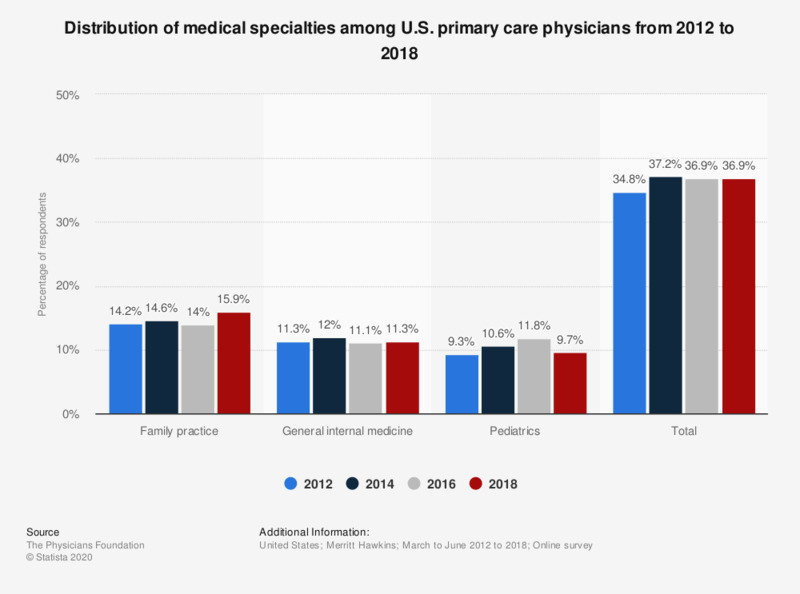 This survey depicts the distribution of medical specialties among U.S. primary care physicians from 2012 to 2018. In 2018, 11.3 percent of surveyed physicians were in general internal medicine, a decrease from 12 percent in 2014. Original question: "What is your medical specialty?"